Ted Cruz has a Canada problem. Increasingly, Cruz’s Republican adversaries are using his “Canadianness” (code word for “foreignness”) in an attempt to hobble his presidential aspirations. Donald Trump keeps hammering away at Cruz’s now-renounced Canadian citizenship, asserting that the Texas senator could be prime minister of Canada. Protesters dressed up as Mounties are handing out copies of Cruz’s birth certificate (he was born in Calgary in 1970) at his political rallies with a photo of Cruz against a red maple leaf. Perhaps worse, some are also carrying signs that read, “Ted Cruz likes Nickelback.” American politics really is in the gutter. I went to law school with Cruz. In a class of 560 Type-A overachievers, Cruz stood out as especially driven, incredibly ambitious, and rather arrogant. He was known to most of his classmates and not in a good way. In the elite world of Harvard Law School, study groups were often exclusionary. Non-Ivy leaguers need not apply, Yalies only, no Republicans, etc. Cruz’s study group reportedly excluded those outside the top tier—Harvard, Yale, and Princeton—of the Ivy League, an assertion that Cruz denied by pointing to the inclusion of a student from the non-Ivy Northwestern. Needless to say, my McGill degree didn’t make the cut. I can’t tell you that I hung out with a younger Ted Cruz at “Canadians Abroad” events or that I have a selfie of the two of us with former prime minister Kim Campbell, who was at Harvard at the same time. Nor are you likely to find any scandalous photos of Cruz wearing a Calgary Flames or Toronto Maple Leafs jersey watching a hockey game. Nevertheless, Cruz is being attacked because he was born in Calgary to American parents who lived in Alberta for several years in the early ’70s while they were working in the oil business. It is probably safe to say that many Canadians now know that the American Constitution requires that the president be “a natural born Citizen.” But is the same true under our Constitution? 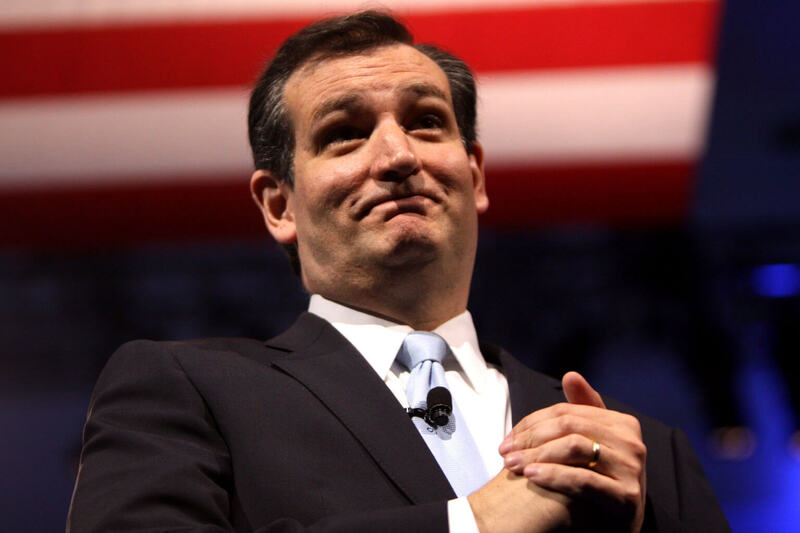 Could Canada have a Ted Cruz problem? First, the requirements and powers of the prime minister aren’t set out in the text of our Constitution. They are almost completely unwritten. Canadians would likely be surprised that the Constitution that created modern Canada in 1867, the British North America Act, did not even mention the prime minister. It didn’t need to. As the Fathers of Confederation set out in the preamble of the document, the plan was that we would have “a Constitution similar in principle to that of the United Kingdom”—meaning based on centuries of understood constitutional practice that had not been, and did not need to be, reduced to writing. Second, when the US Constitution was drafted and ratified in the late eighteenth century, Americans were concerned about the prospect of an alien power sponsoring a foreign candidate for the presidency. This wasn’t some fanciful Manchurian Candidate notion. Rather, it was simply the way European politics had worked for centuries. The Founding Fathers were concerned lest some relative of the British royal family be installed as their president. In early Canada, of course, many would have been very excited by this prospect, as they were when Prince Arthur, the Duke of Connaught and the third son of Queen Victoria, served as Governor General of Canada between 1911 and 1916. At various times rumours swirled that other royals might take up residence in Canada. In 2009, Sarah Ferguson, Duchess of York, said that her marriage to Prince Andrew could have been saved, if only he had been appointed our Governor General in the late 1980s. Canadians would have been totally okay with that, constitutionally speaking. And if you think that many of us fawn over Justin Trudeau, imagine the reaction if the Conservatives were able to lure Prince Harry to the Great White North to run for political office. Far-fetched, maybe, but constitutionally kosher. Our Constitution does set out various qualifications for senators, as those following the travails of Senator Mike Duffy know. In addition to being resident in the province for which a senator is appointed, owning $4,000 worth of property and various other qualifications, a senator must be a “natural-born Subject of the Queen.” This sounds exciting, perhaps indicating that in Canada we too could have our very own “Ted Cruz issue,” although on a much smaller scale. But alas, it is not to be. I skipped the part where the Constitution says that a senator must “be either a natural-born Subject of the Queen” or naturalized by an Act of Parliament. So all that is required is that a senator must be a citizen—natural-born or naturalized, we don’t discriminate. To this we need to add one other unwritten rule: the prime minister is expected to be a member of parliament (or get a seat as soon as possible). We had a couple of senators who were prime ministers for a short time but that was back in the 1890s. The Senate might even have been a good thing then. All of this explains how we’ve had four prime ministers who weren’t born in Canada: Sir John A. Macdonald (b. 1815 in Glasgow, Scotland); Alexander Mackenzie (b. 1822 in Logierait, Scotland); Sir Mackenzie Bowell (b. 1823 in Rickinghall, England); and John Turner (b. 1929 in Richmond, England). No one cried “Unconstitutional!” and demanded a reference to the Supreme Court of Canada. If you look at the members of Justin Trudeau’s cabinet, a number of them were born outside of Canada. It wouldn’t be surprising to see someone lead a Canadian political party who was born outside our country. So while our neighbours to the south like to say that every American boy or girl can grow up to be president, Arnold Schwarzenegger and others can tell you that isn’t the case. In Canada, it is. Despite renouncing his Canadian citizenship, perhaps my old classmate has succeeded in teaching his former countrymen and countrywomen something about our Constitution.